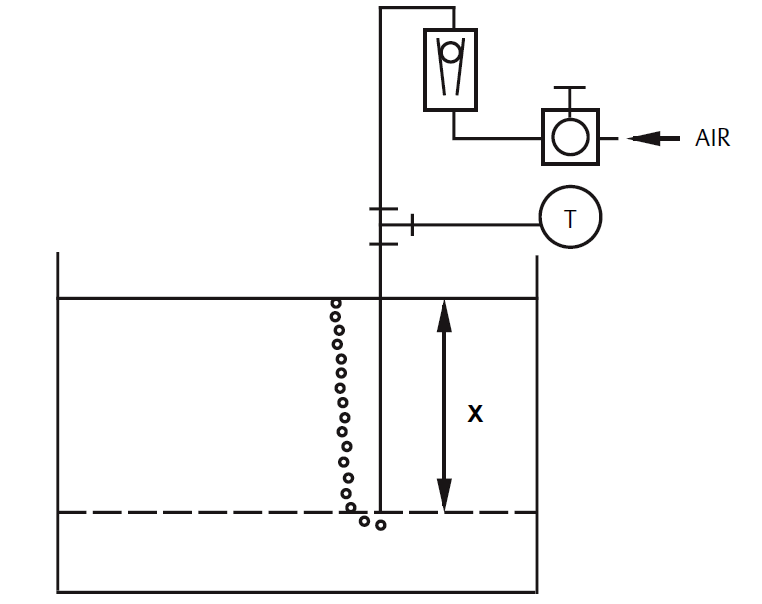 Let X equal the vertical distance between the minimum and maximum measurable levels (100 in.). Let SG equal the specific gravity of the fluid (1.1). 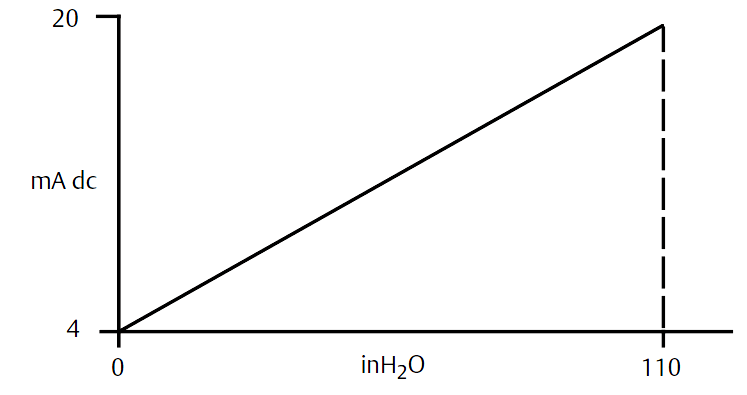 Let Range equal zero to h.